I am particularly excited about Father's Day 2018 for several reasons. 2. I get to spend the entire weekend with my family--promoting my book at Christos Bookcenter at Autumn Ridge Church in Rochester, MN, attending church service at Autumn Ridge Church, and hosting a book signing at the Barnes & Noble store in Edina, MN. Then, on Sunday after church, I get to play yard games and grill out with the fam, call my dad, and enjoy all things about being a father. 3. But, I am also excited about Father's Day this year because I just learned how Father's Day came to be--and I want to share with you what I have learned. Plus, a challenge for dads and for pastors! In 1909, the daughter of a single dad heard a Mother's Day sermon at church and began to pursue a similar holiday to recognize dads in a similar way. The daughter's name was Sonora Smart-D0dd. Although the first Father's Day occurred in Portland, Oregon, in 1910, it wasn't until 1972 that Father's Day was officially embraced and holds its current annual calendar spot on the third Sunday of June. Several historical facts strike me about the humble beginnings of Father's Day, especially compared to the current culture of 2018. First of all, a daughter sparked the idea for Father's Day--not a self-serving dad, but a loving daughter who wanted to recognize all of the efforts, sacrifices, and memories of her dad. Secondly, the idea was born in the church while Sonora was listening to a Mother's Day sermon. 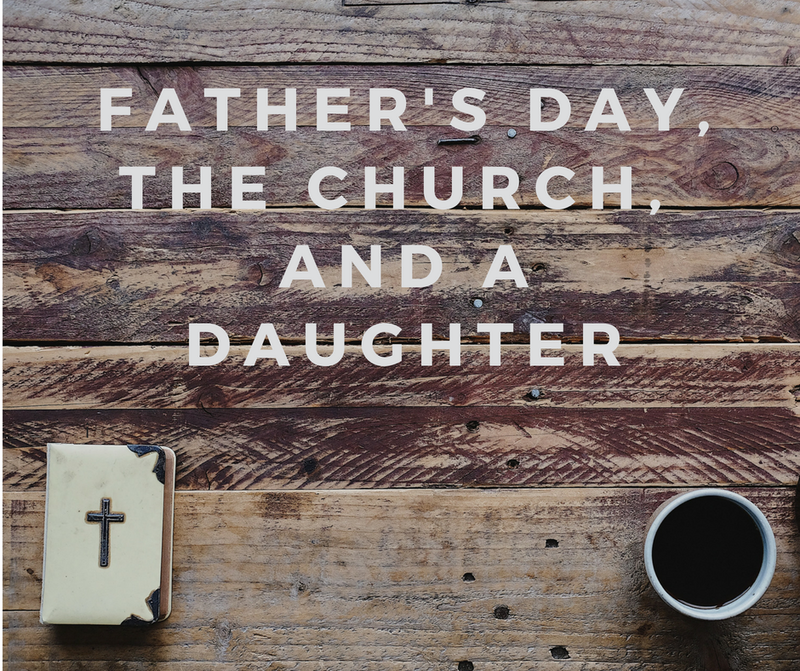 What's ironic about this fact is that today, according to LifeWay research, Mother's Day is the third most attended holiday church service (behind Easter and Christmas), Father's Day is the least attended church service. Church can be boring for dads and some would rather spend it outdoors doing something active rather than singing, standing, and sitting for an hour or more. The pastor doesn't recognize dads like he/she does moms on Mother's Day. The sermon is full of "should-be's" and "not enoughs." Many Father's Day messages are well-intentioned, but come across as a scolding. I can tell you that the last thing I want to do on Father's Day is to listen to someone tell me all of the things I should be doing to be a better dad. I get it. I struggle with gathering my family, driving to church, and putting on a smile when I know this is my day to choose how I want to spend it. But for those of you that want to spend Father's Day on the golf course with a foursome of your buddies or alone on a fishing boat in your favorite spot, you are being selfish. Does that hurt? Yeh, maybe. But, Father's Day isn't for selfishness. It's a day that is set aside to go to church, hang out with your family, and spend quantity time--not forced quality time. Dads, this Sunday, let's challenge each other to PACK THE HOUSE at our local churches. Let's help LifeWay create an up-to-date study that ranks Father's Day church attendance on par with Mother's Day. Pastors, challenge yourselves to recognize, not criticize the dads in your church and encourage and uplift them in their fatherhood journey. So, dads, let's PACK THE HOUSE at church this weekend and then spend the rest of our day giving our family the gift of our time. Have a wonderful Father's Day 2018! Please post a comment below about your thoughts on Father's Day and the Church. What is your church doing for dads? What do you want to hear on Sunday morning. What are you doing with your family? How do you honor your dad that has passed away? How do you connect with your dad if you can't be with him on Father's Day?